The U.S. Department of Labor’s Occupational Safety and Health Administration has cited Jersey Shore Steel for four violations, including three failure-to-abate citations, at its Jackson facility. Proposed penalties total $115,400 after OSHA’s follow-up inspection opened in April. The failure-to-abate notices, which carry $111,000 in penalties, relate to the company’s failure to develop and implement a written lockout/tagout program that prevents inadvertent machine start-up; require fork truck operators to have their performance evaluated at least once every three years; and train workers to use portable fire extinguishers. A failure-to-abate notice applies to a condition, hazard or practice, found upon reinspection, that the employer was originally cited for and failed to correct. The company was also cited for one repeat violation, with a $4,400 penalty, due to the lack of machine guarding on a press brake. A repeat violation exists when an employer previously has been cited for the same or a similar violation of a standard, regulation, rule or order at any other facility in federal enforcement states within the last five years. A similar violation was cited in November 2012. The citations can be viewed at: http://www.osha.gov/ooc/citations/jersey_shore_steel_insp_900106_sept30.pdf*. Jersey Shore Steel has requested an informal conference with the OSHA area director in Marlton. This entry was posted in OSHA and tagged Workplace Safety on January 1, 2018 by Charlie Domer. In most instances, an injured worker cannot sue her employer for a workplace injury. However, if an injury results from an employer’s reckless, intentional, or illegal action, an injured worker can bring a separate claim against the employer directly. An employer’s violation of the Wisconsin state safety statute or of any Department of Workforce Development (DWD) safety administrative rule which causes a worker’s injury can trigger a 15% increased penalty for the employer (Section 102.57 of the Worker’s Compensation Act). This increased compensation is based on the amount of compensation paid by the insurance carrier and is capped at $15,000. The big deal is that the safety violation penalty is not paid by the insurance company–it is paid directly from the employer’s pocket (which also makes for increased litigation of these claims!). In a win for injured workers, a recent Court of Appeals case (Sohn Manufacturing v. LIRC), decided on August 7, 2013, reaffirmed the ability of the Worker’s Compensation Department to hold employers responsible for unsafe behavior. In the Sohn case, the worker operated a die cutter machine, and the employer instructed her to clean it while the anvil rollers were running. The worker suffered a severe hand injury when her hand was pulled into the machine. 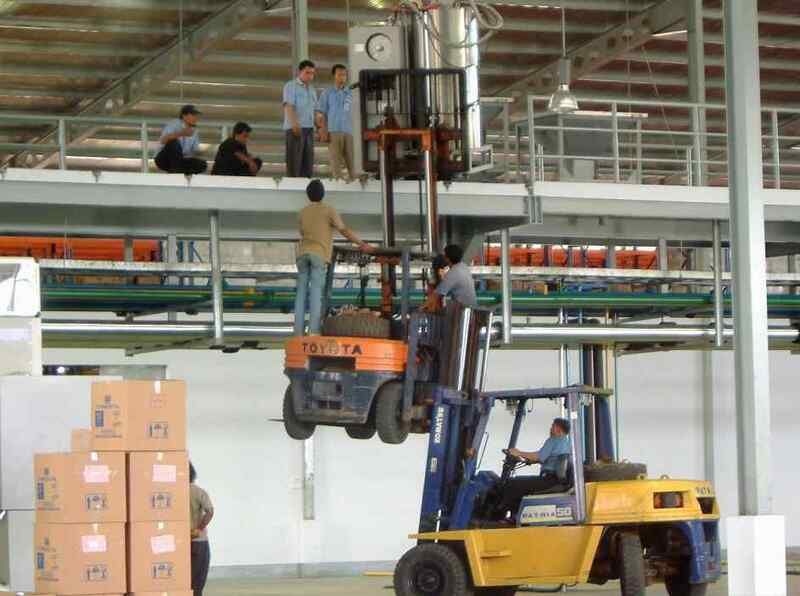 A state investigator found an OSHA violation as well as a violation of the state safety statute (Section 101.11). An administrative law judge and the Labor and Industry Review Commission affirmed an award of a safety violation under 102.57 of the worker’s compensation act. The employer challenged this ruling in court, arguing that the federal OSHA law preempted Wisconsin’s ability to enforce safety procedures under Section 102.57 and that an OSHA investigation cannot form the basis for a state safety violation claim. Injured workers should be thankful that the Court of Appeals rejected both of these arguments. First, the Court explicitly stated that OSHA does not preempt Wisconsin’s ability to award penalties under Section 102.57, as the safety violation statute is not an enforcement mechanism and OSHA was not intended to impact state worker’s compensation rules. More importantly, the Court indicated that an OSHA violation of a federal workplace safety regulation can be used as basis to demonstrate an employer’s violation of Wisconsin’s state safety statute (Section 101.11). While the decision was not surprising, it reaffirms the state’s commitment to holding employer’s accountable for safety violation rules under the worker’s compensation system. Workers and practitioners also should remain aware of any OSHA violation found post-injury. A document demonstrating a federal OSHA violation can form the immediate basis for a safety violation under Section 102.57. This entry was posted in Penalty, Safety Violation and tagged Hand Injury, OSHA, Safety Violation, Workplace Safety on August 8, 2013 by Charlie Domer.